Height 5 feet 9½ inches. Weight 148 lbs. Chest measurement 32½-36 inches. Complexion fair. Eyes grey. Hair brown. Sight and hearing both good. Colour vision correct. Limbs well formed. Full and perfect movement of all joints. Chest well formed. heart and lungs normal. teeth ? No illnesses. Free from hernia, varicocele, varicose veins, haemorrhoids, inveterate or contagious skin disease. Vaccinated. Good bodily and mental health. No slight defects. No fits. Otago Infantry Regiment. New Zealand Entrenching Battalion. 28 September 1916 wounded knee, admitted to hospital. John Davidson was born on 17 June 1894 at Timaru, the son of Andrew McKenzie Davidson and his wife Mary Anne née Wilds. He married Elsie Meldrum Mackie on 7 May 1924 at Otipua. 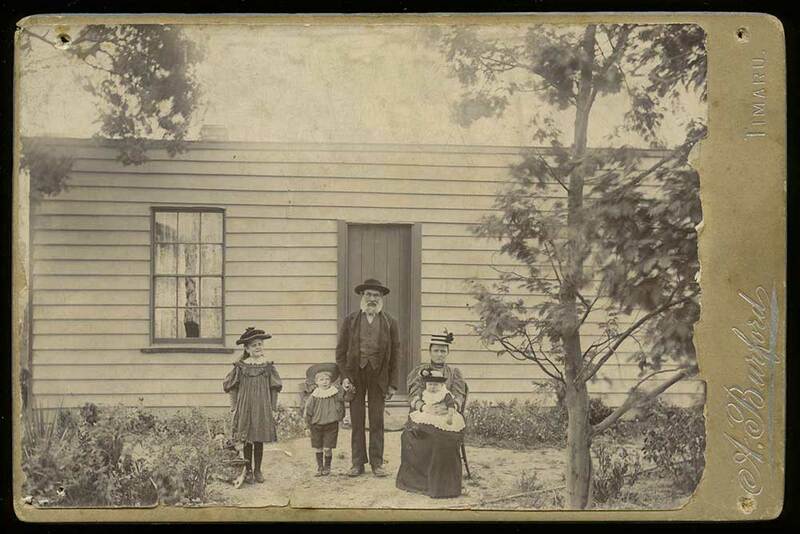 John and Elsie had three children.